Dieter Bohrmann purchased Quinta do Passadouro (above) in 1991, in collaboration with Dirk Niepoort. Their partnership ended a year ago, and now Dirk’s ex-winemaker Jorge Borges is in charge of the winemaking here. Jorge is aiming to get more fruit into the wines, but at the same time achieving more elegance. 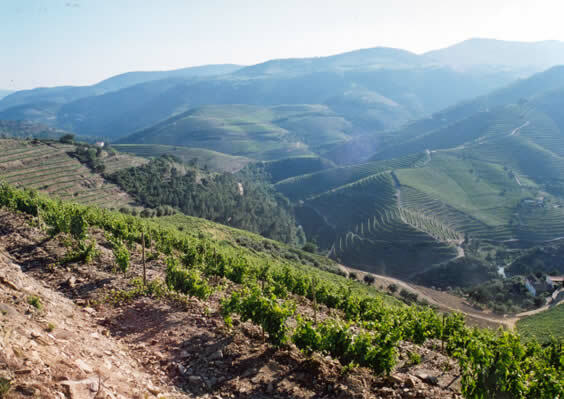 It’s a beautifully situated property in the Cima Corgo of the Douro, with 16 hectares of vines varying in age from 4–70 years, and more plantings coming on line. Principal varieties grown include Touriga Nacional, Touriga Franca, Tinta Roriz and Sousão (a dark-fleshed ‘teinturier’ variety), but as with much of the Douro there are lesser quantities of a wide range of grapes mixed together in the older vineyards. The wines are pretty good. Guide retail prices are given.